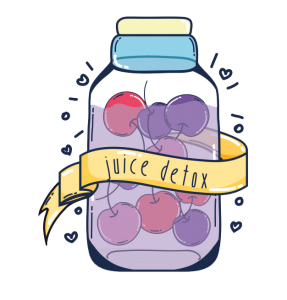 The detox juices diet for weight loss has become very popular in recent years as an easier way to consume lots of nutrients without having to eat lots of whole fruits and vegetables. Scientists have always preferred a plant-based diet consisting of healthy fruits and vegetables, optimum for weight loss. Experts recommend you eat at least 6 to 8 servings of vegetables per day, which many people (myself included) have difficulty achieving. That’s where juices for weight loss can help fill the void. So are you ready to feel better, have more energy, sleep more deeply, breathe more freely, think more clearly, and feel more vibrant? Giving the body a rest from solid food and nurturing it briefly with easily digested, nutrient-dense juices can improve health by healing the body and renewing the body, mind, and spirit. Have a look at these healthy options and decide for yourself. This veggie is great for losing weight because of its high fiber content, and it is low in calories. It can be a perfect drink of a healthy diet and helps to detox your body. The thick layers of cellulose on the cell walls of raw carrots prevent your body from digesting and fully absorbing the vitamins and minerals in these vegetables. 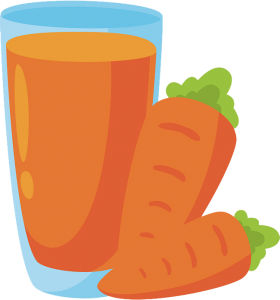 By juicing carrots, you break down these cell walls and increase the concentration of carrots that you can consume. The benefits of carrots can’t be overstated. If you prefer to cook or eat raw carrots, you’ll benefit from more satiety from the fiber, which is ideal for weight management. But juicing your carrots may provide a bigger nutritional punch, plus it’s easier to absorb nutrients and antioxidants from the juice. Wash the carrots and add the chopped carrots to the blender. Add a small amount of filtered water, blend it well. If you think the consistency of juice is too thick for your liking, add more water. Now place a nut milk bag in the container and pour the blended juice. Drink a glass every morning. You can also blend other fruits and veggies with a carrot like orange and beetroot to enhance its taste and nutritive value. Bitter gourd contains about 90 percent water. This makes it very effective to suppress your hunger. Drinking bitter gourd juice helps keep your body well hydrated and helps flush out toxins from the body, thus helping you to lose weight. In a 2010 issue of a report published in the journal BMC Complementary and Alternative Medicine, it was revealed that extracts of bitter gourd helped in the dislocation of human fat cells and also hindered the formation and growth of new fat cells. It was further concluded that bitter gourd can be viewed as a natural agent for treating obesity. Use bitter gourd to make a weight losing juice in the morning on an empty stomach. This way you will get maximum results. If you find it too bitter, you can add honey, carrot or apple juice to the juice. If you suffer from diabetes, you can have this juice with green apple juice. After you drink this juice, you should avoid consuming anything for an hour. Cucumbers are not only a crunchy, refreshing topping for a salad, they can be made into a healthy juice that fits into your weight-loss plan. Cucumber juice does not contain any sodium. It is also a natural diuretic. That is, drinking cucumber juice will flush out excess water, toxins and fat cells from the body. Fluid retention is one of the major causes of bloating and cucumber juice can help in getting rid of that. 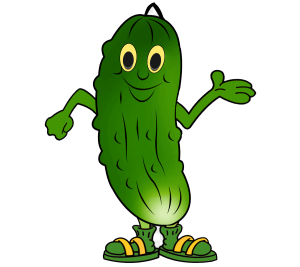 Cucumbers can help you detox from a night of drinking, a bad meal, or exposure to environmental toxins. Thanks to their diuretic effects, they can increase the speed at which toxins leave your body. Drink cucumber juice on its own, or mix it with other vegetable juices, such as beet or carrot, for sweetness. Add a bit of chili powder to the cucumber juice for a spicier drink that is still hydrating and refreshing. 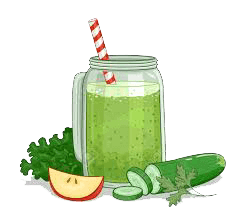 Try drinking at least a glass or two of cucumber juice each day and you will soon notice the difference that comes from your liver being cleansed from all the toxins of modern living. Amla is loaded with anti-oxidants and it is effective in removing toxins from the liver and intestine helping your body to function better. Amla juice gives your body detoxifying effects which can effectively boost the proper functioning of the internal systems helping you to lose weight and enjoy a better overall health. 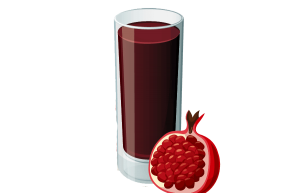 According to a study conducted by Leiden University Medical Centre in the Netherlands, it was found that consumption of Pomegranate juice can lead to a significant excess fat loss in the body. This is due to the presence of a high concentration of anthocyanins and punicic acid among others. Studies have shown that pomegranates block triglycerides, the fact that’s bad for your blood. This means the fruit attacks the fat before it can even be stored in your body. Cut open the pomegranate (cut in half) and pop out the arils. A good technique is to fill a bowl full of water and take half of the pomegranate and peel back the skin, and the arils will easily pop out. Feed them through your juicer and alternate with other produce. They might cause a traffic jam in your juicer (the seeds are hard) but it’s just necessary for this ruby red juice. It pairs very well with other fruits and citrus. Try blueberry, grapes, apples, cranberries and even melons. Cabbage juice might sound disgusting, but it actually does your body a world of wonders. It is high in an array of different vitamins, minerals and crucial phytonutrients like vitamin C, A, B1, B2, B6, E, and K and minerals like potassium, iron, calcium, iodine, sulfur and phosphorous. It can be rich in dietary fiber and is naturally low in calories, making it a healthy weight-loss beverage. 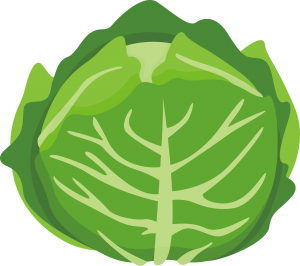 Raw cabbage juice is an excellent natural cure for obesity. Basically, it purifies the upper section of your intestine so that the elimination of waste materials becomes easy and the digestion of food gets facilitated. Cabbage juice is best made with a juicer, as blending cabbage to make juice will leave small particles of cabbage, giving it an odd texture. When juicing cabbage, use about 1- to 2-inch pieces to ensure optimal extraction. You can have this weight loss drink at any time of day, although because of its strong taste you may wish to add something in it. While you can drink cabbage juice on its own, it’s often blended with other fresh juices, such as beet or carrot, which provide sweetness. Watermelon is a delicious and inexpensive way to help you cleanse your body and lose weight. 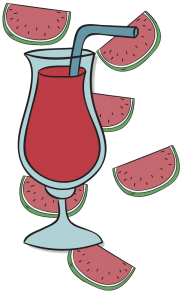 A one cup serving of watermelon is only 47 calories. In addition to weight loss, watermelon is a great source of energy and nutrients for your body. Watermelon is recommended by the American Council on Exercise as a good choice of diet food. Like most fruits, watermelon has almost no fats. Besides lowering the calorie content, this makes it easy to digest and thus improves the digestion, a necessary factor in a clean lean body. To prevent your muscles from feeling sore the day after an intense workout, you need the good old watermelon or its juice. Not only does it make a low-calorie, thirst-quenching, refreshing drink but it actually helps relieve muscle soreness because of its high citrulline content. Citrulline reduces soreness by relaxing blood vessels and enhancing blood circulation. This nutritious boost will make you feel more energetic while you exercise, allowing you to perform better and do more. Including oranges in your diet can potentially help you lose weight. Orange juice has a relatively low number of calories, making it a healthy choice when weight loss is your goal. Freshly squeezed orange juice is rich in vitamin C, which helps our bodies to assimilate and produce collagen. This means that the fresher OJ we drink, the younger we’ll look. Oranges contain dietary fiber. An orange contains 3.1 grams of total dietary fiber. This fiber content will fill your stomach up for a longer period of time. If you eat an orange before your meal, the fiber content of the fruit might fill you up. This will make you eat a smaller meal. The orange juice should be a freshly squeezed one. Do not drink packaged or bottled orange juice, no matter if the packaging claims that it’s 100 percent natural juice. It’s always better than you consume homemade orange juice or for that matter any other fruit juice. 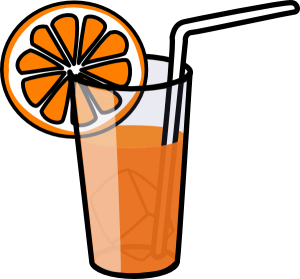 If you like the flavor of orange juice but want to cut the calories a bit, dilute it with either sparkling or plain water. Pineapple can flatten your tummy, prevent stomach distention and help your body burn a few extra calories. Pineapple is a nutrient-rich fruit containing vitamin C, manganese, thiamine, copper, fiber and vitamin B-6. It contains an enzyme called bromelain. 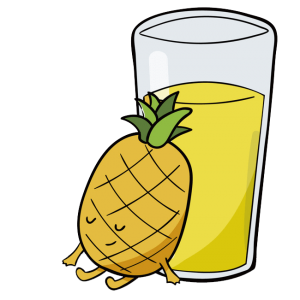 This enzyme is found in the juice of pineapple and helps in metabolizing protein, which in turn helps burn away the excess belly fat. You would be surprised to know that the star enzyme bromelain also works with other enzymes such as lipase to digest fats which help suppress your appetite. Peel the pineapple and chop it into small chunks, add these pineapple pieces in a blender along with water. Blend well until you get smooth juice then train the juice using a strainer. You can add more water if the consistency of juice is too thick for you. Pour the juice in a glass. You can prepare a fresh glass of pineapple juice in the comforts of your kitchen. Pineapples are best when consumed fresh, as the enzymes and nutrients begin to disappear quickly once left a cut. 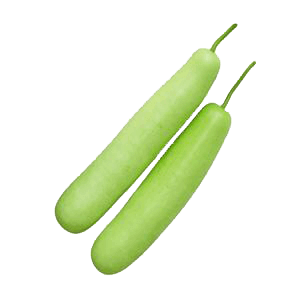 Bottle gourd is a vegetable that contains 96% water in it. It is available all over the world and in all seasons. Apart from the high amount of water in it, bottle gourd contains Vitamin C, Vitamin B, iron, potassium, and sodium. Bottle gourd juice contains zero cholesterol and very fewer calories, which is ideal for weight loss. Bottle gourd’s juice is extremely effective for those who want to lose weight. You just need to peel off the skin of a fresh bottle gourd, chop it into little pieces, put it in a juicer and prepare the juice. You can add mint leaves, salt, and pepper for a better taste. You must include this juice regularly for breakfast to reduce weight. Since this juice is full of vitamins, potassium.